Private Grayrock is on look out for the Federal army. He sits still waiting to see if anyone of the Confederacy comes his way. But in the dark of night, he circles around the tree he was leaning against to get some perspective but loses track of which way he was originally facing. Unfortunately, this is a problem because in one direction is his men and in the other are the enemy. If he can't remember where he should be facing, he may accidentally shoot one of his own. At one point, he does shoot at someone in the dark and this sets off a shooting match before the Federal and Confederate armies. In the wake of the battle, Grayrock searches for the man he shot at and knows he hit but cannot find any sign. The missing person haunts Grayrock and he keeps trying to discover the body. While searching, he thinks about his twin brother and how they used to score the woods. His mind then descends into thinking about how the family had slowly fractured and the distance between them. While reflecting, he also began to pick up some clues and eventually does find the body that he shot, wherein he comes face to face with his dead brother. 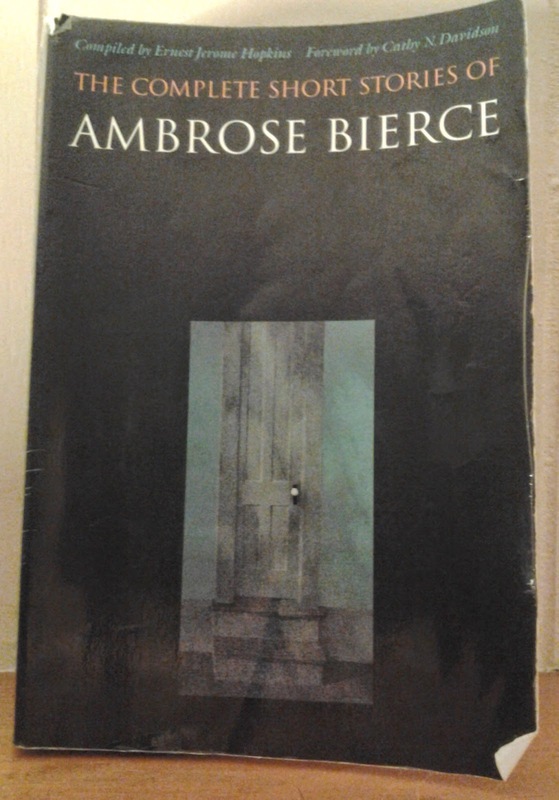 It's typical Bierce and it's pretty obvious that's what's going to happen as soon as he mentions the twin brother. This seems like a tale that could be craftily reimagined through first-person point of view with a much stronger chilling effect.